The Burnie Dockers are the 2014 TWL Premiers after beating Clarence in the Grand Final on Sunday 17th August at Devonport Oval. The Dockers led from start to finish winning the premiership cup for the first time with a 51 point win: 12.10 (82) to 4.7 (31). The Roos trailed by 14 points at quarter time and 19 at the long break, but the third term was all Burnie. The Dockers showed their skills and great passages of play kicking 5.2 to 1.3 to open up to a 42-point lead. The Dockers had plenty of options up forward, with Emma Humphries (four goals) and Jess Brown (three goals) posing a threat in the air and on the ground. Danielle Radford also got 2 goals for the victors, and Kirby Goodson (Captain) played a great game also. Jess Hercott was the Roos’ only multiple goal-kicker as well as her team’s best player. Best on Ground was Brittany Gibson (Burnie) who displayed a high level of football all day. 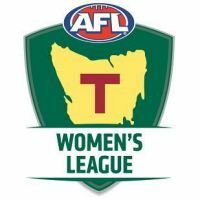 It was a wonderful day for Women’s footy and the league! Clarence has been the benchmark for the competition making every single Grand Final since it started here in Tasmania, setting a great standard for all Clubs. It was exciting to see how far Burnie has come in the League since just 2 years ago over at Yeoman. The progress is amazing, and something for all teams / clubs to aspire to! BURNIE: E. Humphries 4, J. Brown 3, D. Radford 2, A. Bradshaw 1, M. French 1, B. Gibson 1. CLARENCE: J. Hercott 2, T. Grice 1, J. Limbrick 1. I would like to thank the Devonport Football Club for hosting the TWL Grand Final, and especially Shane Yates for being so accommodating and helpful. THANKS SHANE! Also the WAFL Devonport Magpies. for all their work on the day!! Yarnie Wiffen, Janelle Rouse, Chantelle Graham, Holly Roughly and others - you were great! Thankyou to facility coordinator Ted Smith, GM DFC Mark Fagan, Lindsay Brooke for officiating on the day, the DFC scoreboard operator Alan Riley, Vicki Rushton manning the gate, & Cara Brooke for doing the FB quarterly score updates. Also to Barry, Mick & Sachie from AFL Tas! THANKYOU ALL, it was a wonderful day, and wouldn't have been possible without all of you! Well done to both Clarence & Burnie making the Grand Final and again CONGRATULATIONS to Burnie Dockers, the 2014 Premiers!